EVERY DRIVE is something special. An unmistakable connection between driver and machine. Fire up that 3.7-litre V6 and hear 332 HP sing through dual exhaust pipes. Take it into a turn and feel the dynamically balanced chassis just grip and grip. Revel at the world's first available rev-matching manual transmission. The drive of your life is waiting. Make sure it IS EXHILARATING. It's a living legend. With the emphasis on living. The iconic lines, low center of gravity, wide track, and short wheelbase give it that unmistakable, instantly recognizable profile. And with a fresh look for 2019, the 370Z is more desirable than ever. Synonymous with passion, expertise, and especially the height of Nissan performance. NISMO puts its all into everything they build, from championship-winning racecars and accessories for street cars, to one of the world’s most desirable sports cars. With bumped-up power and pumped-up handling, the Z® has been transformed into a sports car singularly worthy of being branded 370Z NISMO. As long as there has been Z®, there has been a soulful 6-cylinder leading the way. In this case, the 4th-generation of the legendary VQ V6 engine. With a 3.7-litre displacement for massive muscle, this 332 HP dynamo features advanced Variable Valve Event and Lift (VVEL) technology that continuously tunes valve lift and timing for quicker response and a broader torque curve, while optimizing fuel efficiency and reducing emissions. And while all this engineering may sound intriguing on paper, the exhilaration – on the straights or through the corners – is pure, pulse-pounding magic. To harness all 332 hp, our engineers enhanced the design and material composites for key rotating components. The available 19" RAYS® forged alloy wheels feature a new design, and are stronger and lighter than typical cast wheels. And the reduced-rotating mass on the lighter, incredibly strong carbon-fiber composite driveshaft helps the engine rev more quickly. Available SynchroRev Match technology monitors the clutch, shift lever, and vehicle speed so that when you downshift, the system "blips" the throttle to the ideal engine rpm for a supremely smooth downshift. It also works when upshifting to give you seamless acceleration. If you want more traditional performance, you can turn the system off with the touch of a button. And for 2019, every Z® with a manual transmission enjoys a new EXEDY® high-performance clutch, for reduced pedal effort and enhanced precision and control. All 370Z models feature zero front lift. If you’re after even more performance, go with the Sport model. It includes a lower front chin aero deflector and rear spoiler for zero rear lift. 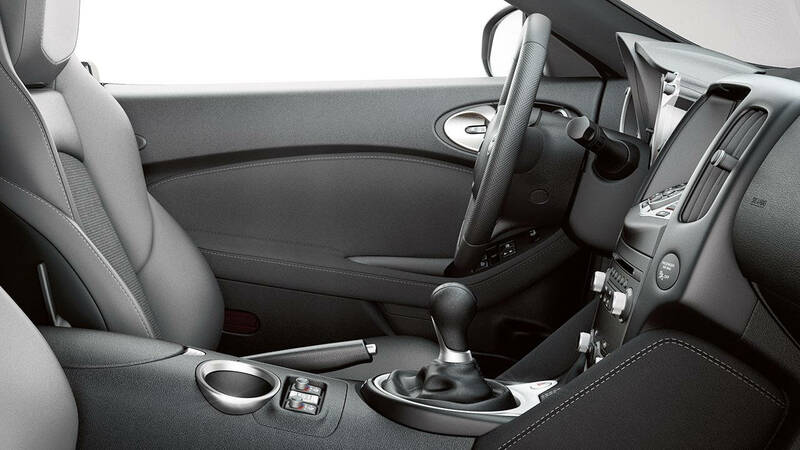 The 370Z® keeps a strong connection to your world as well as the road. With the Bose® Premium Audio System, you've got an amazing choice of entertainment to create a soundtrack for your drive. 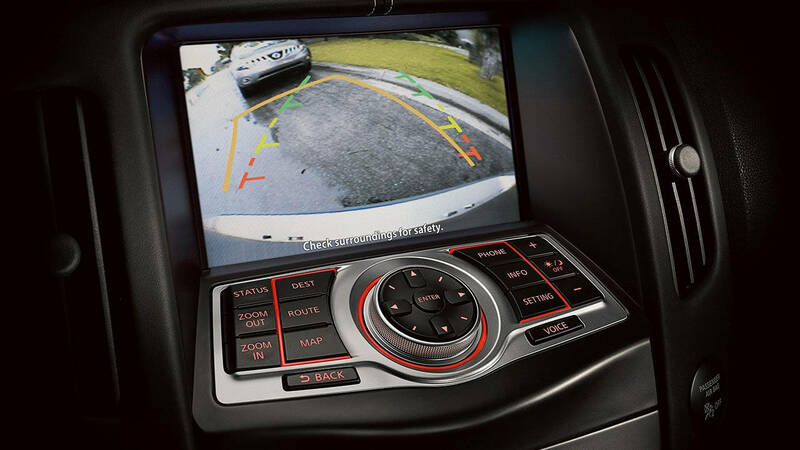 And along with the touch-screen voice-activated Nissan Hard Drive Navigation System, you've got so much more than just directions. 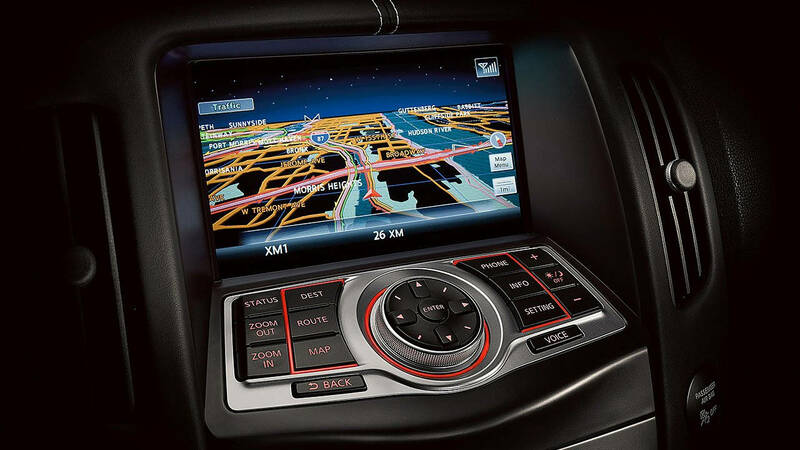 Navigate through congested areas more conveniently with the available touch-screen, voice-activated Nissan Hard Drive Navigation System.Its advanced NavTraffic® feature displays color-coded, real-time traffic advisories to help you steer clear of the gridlock. 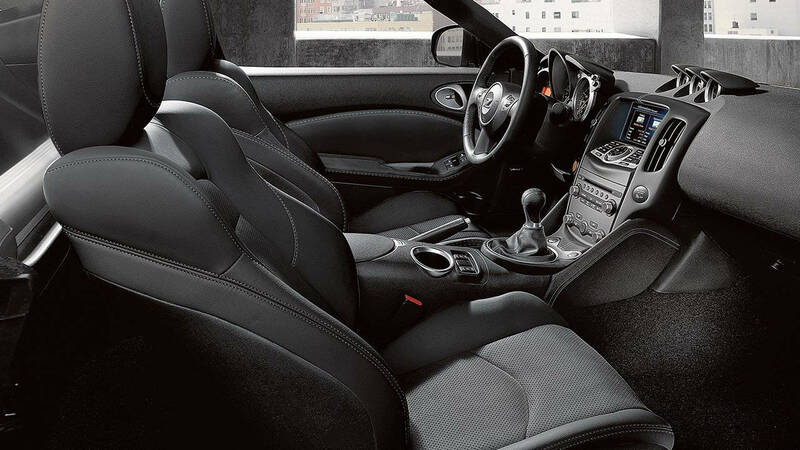 Working through the available Bose® Premium Audio System speakers, Active Sound Enhancement (ASE) brings the power of the 370Z – those growling engine sounds – directly into the cabin. 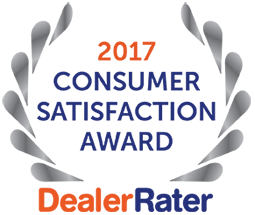 Meanwhile, using strategically placed microphones in the cabin, Active Noise Cancellation (ANC) can identify and reduce unwanted low frequency sounds. Should you ever need to hit the brakes hard, Brake Assist will help you come to a quicker stop by applying maximum braking force. 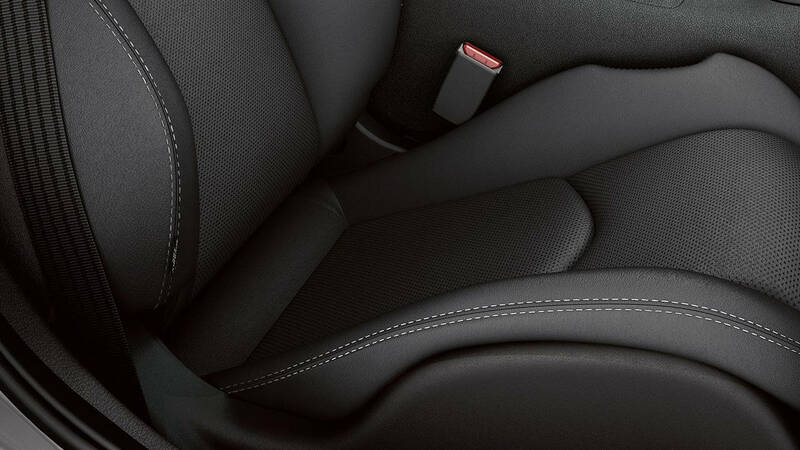 If you've got cargo in the trunk, EBD will detect the added weight, and send extra force to the rear brakes. 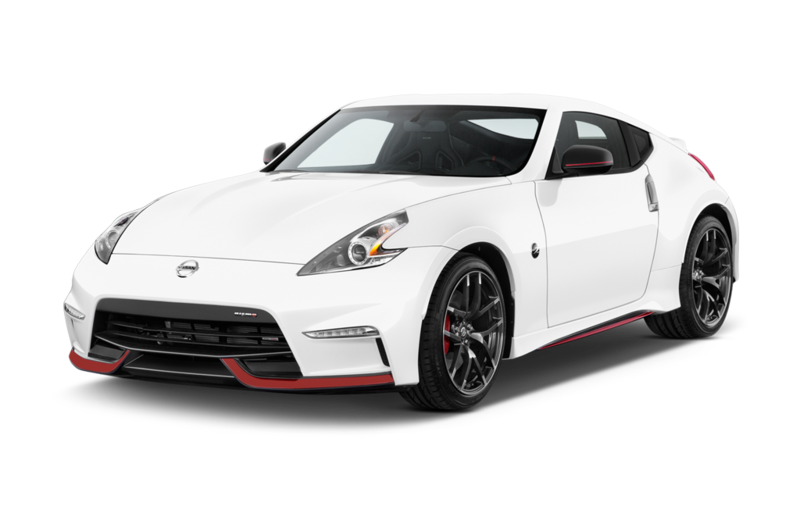 Get Your 2019 Nissan 370Z Coupe at Sherway Nissan.